Caleb “Sweet Hands” Plant is a 24-year old undefeated American boxer. He was born in Nashville, Tennessee. Caleb had always dreamed of one day becoming a father. That dream came true when his daughter Alia Jean Plant was born on May 7, 2013. Sadly, she passed away at 19 months old. She contracted a very rare disease that has yet to be diagnosed. On January 29, 2015, Alia Jean Plant left to be with the Lord at 10:55 am. 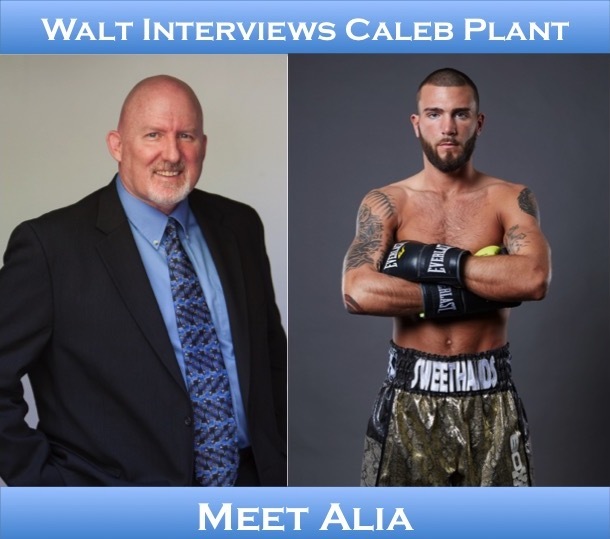 Before and after every bout, Caleb dedicates his fights to his daughter Alia. As a young boy, Caleb lived in extreme poverty. They lived in a trailer that every once in a while, had no running water. Because of this sometimes his hair was oily and greasy, Caleb was bullied by other children at school. The experiences in Caleb’s childhood are experiences no child should have to bear. Because of these experiences, Caleb vowed to become a successful professional fighter. At the age of 9, Caleb’s father Richie, a former kickboxer, brought his son to the gym. His dad wanted to give Caleb an outlet to better himself. He wanted Caleb to be more successful in life -- not be a statistic, like most other kids growing up in his neighborhood. Caleb started kickboxing. He became a seven time national champion and five time world champion, before making the transition to boxing. As an amateur boxer, Caleb won numerous tournament titles. He compiled a record of 97 wins with only 20 defeats. Caleb then turned professional. Caleb moved from Nashville to Las Vegas to pursue his dream of becoming a world champion. Caleb is managed by world-renowned boxing icon, Al Haymon. Caleb is rapidly becoming one of the top fighters in the super-middleweight division. His record is 15-0, with 10 KOs. He is on the fast track to a world title shot. That opportunity should come to fruition before the end of 2018. During his spare time, Caleb enjoys spending time with his family and girlfriend. He enjoys basketball and football and loves the outdoors. With his unique style in clothing, Caleb is also a fashion icon. He has a vision of someday creating his own clothing line.